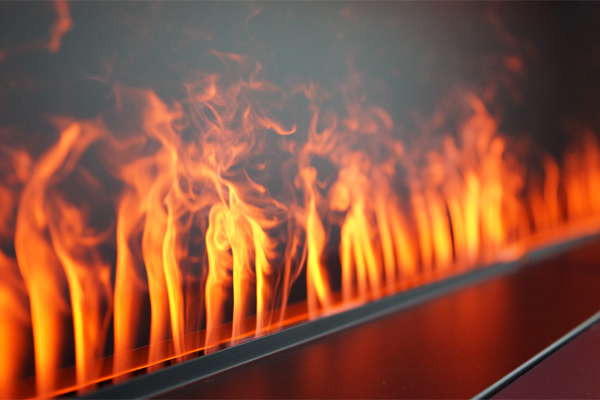 Using a revolutionary ultrasonic technology, Nero Fire Design builds fireplaces which burn... water. Operating on standard electrical outlets, the burners produce an illusion of flames and smoke, without the emissions or risks associated to a conventional fireplace. Choose a wall-mounted or insert model, or have one custom-made for your needs.